Majesty Tours is a great solution for anyone wanting to spend a memorable day of wine tasting around Fredericksburg and the Texas Hill Country. The company's 14-passenger bus is the perfect way to see the vineyards of Texas Hill Country and visit the wine tasting rooms, and also to see the best the area has to offer. In addition to the guided wine tours, the company also offers transportation for special occasions, events, and evening dinner services. Several wine tasting tour packages are offered with Majesty Tours, visiting two to four wineries. Packages that visit two or three wineries include a snack, while four winery packages include lunch. Tours are available to several wineries within Hill Country, including those in Fredericksburg, Driftwood, Dripping Springs, and Comfort, and pick-up locations include San Antonio and Austin. During the tours, guests have the opportunity to visit charming wineries with the help of a personable tour guide as well as taste a selection of the best wines from the country's second largest wine region. Majesty Tours provides several different winery tours, visiting two to four wineries during either a half day or full day tour. The Sapphire Tour leaves at 11:30am, allowing guests to sleep in a little later or enjoy a good breakfast before leaving town. This tour lets guests enjoy lunch and three wineries before returning to town between 4:00pm and 5:00pm. The Diamond Tour is similar to the Sapphire Tour, but with a visit to four wineries and returning between 5:00pm and 6:00pm. The Crown Jewel Tour is perfect for those looking for a more elite wine tasting tour package. This tour visits four of the most popular wineries in Texas Hill Country with a tour of the winery, a deluxe snack, and lunch. The most popular wine tour with Majesty Tours is the Ruby Tour, which visits three wineries and includes a snack. This is a half-day tour, leaving at 1:30pm for an afternoon of tasting delicious wines and returning between 5:00pm and 6:00pm. This tour is great for those wanting to sleep later, enjoy a leisurely breakfast or lunch, or do some morning shopping. Majesty Tours offers many other excellent wine tours. The Crystal Tour is great value for those wanting to leave all the work to someone else and enjoy a memorable wine tasting experience. 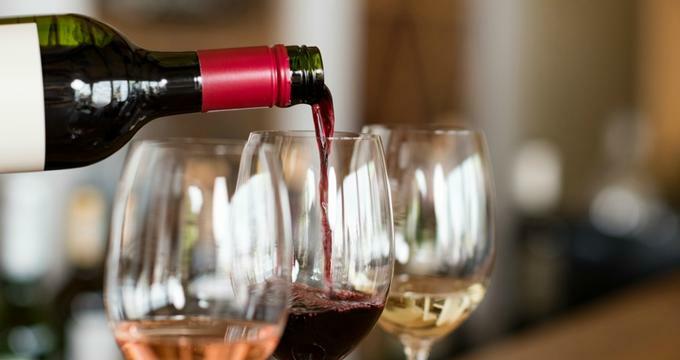 More budget-conscious wine lovers can join this group tour by meeting at a central location to visit three selected wineries in the Hill Country. During the fun-filled tour aboard a roomy, 33-passenger bus, guests may even win a prize playing games on the way to the wineries. For those short on time, the Emerald Tour is an ideal choice. This tour visits two wineries and shows off the beautiful Texas Hill Country. The 2 to 4-hour tour provides a way to discover the beauty of the area and enjoy high quality wines.